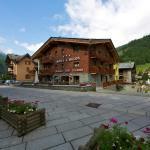 Champoluc is the most important town of the Val d'Ayas, Val D'Aosta. Well-known tourist resort, it is nestled in a natural environment of incomparable beauty: in the summer, thousands of tourists choose Champoluc hotels for their holidays, ideal starting point for hiking trails in the woods. In winter, the landscape changes, and Champoluc becomes one of the most popular ski resorts of Val d'Aosta. Champoluc is located within the ski area Monterosa Ski that connects the valleys of Ayas, Gressoney and Valsesia with over 180 km of slopes. In particular, in the area of Champoluc you can practice freeride on several exciting routes. In town and its immediate vicinity there are hotels and pensions: 3 stars and 4 star hotels in Champoluc are available along the streets of the center as well as towards the lifts. 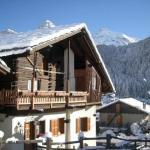 Hotel Le Petit Abri is located in a quiet position, few meters from the city centre, near the ski lifts. 200 metres away from the hotel, there are bus stops that lead to major local destinations. 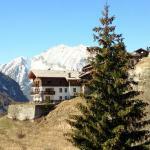 Hotellerie De Mascognaz occupies a convenient location close to the ski slope of Champoluc. 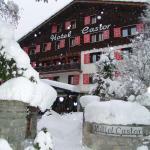 The hotel offers free storage for ski equipment, free Wi-Fi and on-site parking. 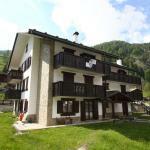 Residence Champolucapartment is located in the heart of Champoluc, Val d'Aosta. The ski trails are easily accessible. The Buenavista Guest House is located in the beautiful mountain resort of Champlan, in an excellent panoramic position just above Champoluc, with views of Monte Rosa. The ski slopes are within easy reach.